The Dalbello Panterra MX 100 Ski Boot gives you performance to push yourself on every run, as well as enough comfort to make lift rides a bit more enjoyable too. The shell is a Contour 4 design, which gives you extra space to relieve pressure on the main parts of the anatomy, improving blood circulation and overall comfort. And it's a Cabrio Construction, meaning each polyurethane piece has been selected for focused support at any temperature. "I wear a men's 13 D can I comfortably wear this boot all day as a ski instructor "
"Thank you for your inquiry, sir. Yes, this boot is designed for comfort and will give you the lasting support you need. We hope this information helps." "From the specs, it looks like the difference between this and the Panteerra 100 is simply the last width. However, I see this has one less buckle. In particular, it seems they've removed the buckle on the lower ankle, which to me is the most important buckle. How does this change the fit and feel between the 100 vs MX 100??" "Thank you for your inquiry. 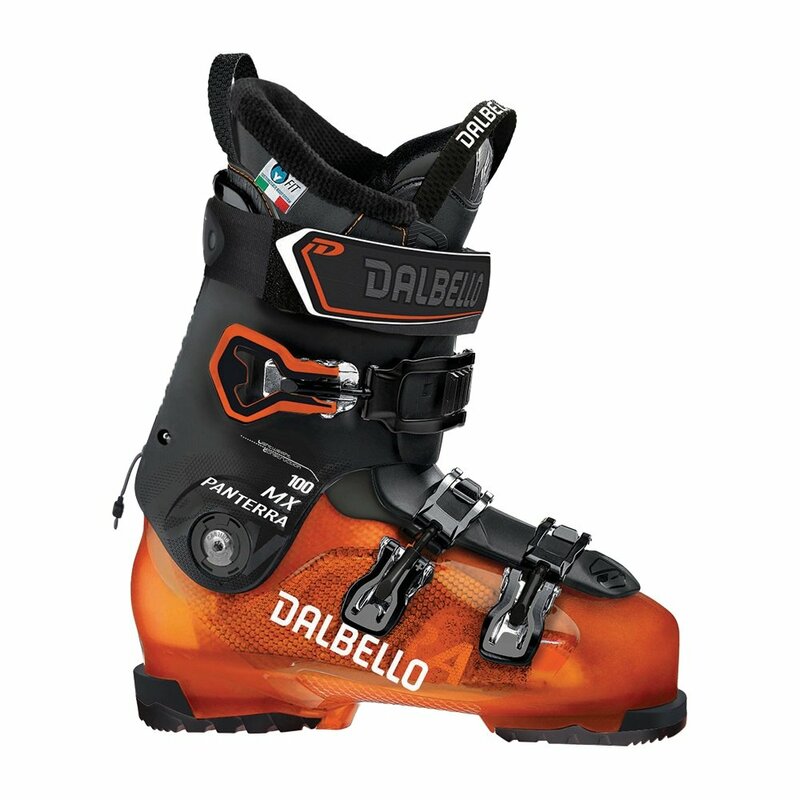 The Dalbello Panterra 100 Ski Boot locks down way better to provide a secure hold with minimal weight. We hope this information helps!" "I'm comparing the 100 MX to the 100. On paper, the specs seem to indicate the only difference is the wider foot of the MX. But looking at the picture I see the MX doesn't have the lower ankle strap. How does this change their fit or your recommendations between the 100 and the 100 MX?"